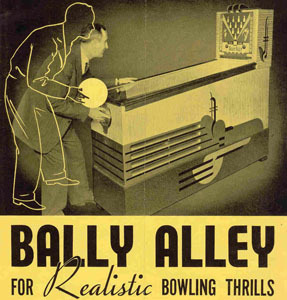 Bally Alley Website Storehouse: Inbox, Large Scans, TO-DOs. Added to Archive.org on March 27, 2019. A collection of 15,494 Astrocade files (in three ZIP archives with .txt indexes.) 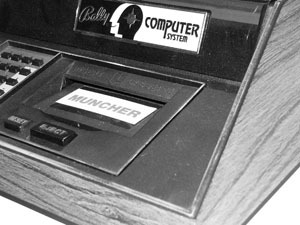 related to the operation of Bally Alley.com. Thanks to Jason Scott for adding these directories from Adam's hard drive to Archive.org. _To_Upload - About 10GB - 3,572 This is a collection of to-be-processed files related to the Bally Alley website, intended to one day end up at the site but as of March 2019, were not. There are 613 Folders which need to be sorted a bit, but includes all of the files that I want to add to BallyAlley.com as of March 2019. There is no redundancy between any of the boxes that I've uploaded to the FTP servers so far (from the Fabris Collection), but there is some duplication between files that Paul Thacker uploaded and what Jason placed on Archive.org a few years ago. I'm not sure which files are duplicated though, and I've no easy way to find out, so I just uploaded the whole thing. _Done (Archive to DVD) - 9.22GB - These are scans at full size instead of the reduced versions at the BallyAlley website. 3,969 Files in 597 Folders which contain the hi-res scans of everything on BallyAlley.com that were "dumbed-down" for size reasons (mostly these are TIFF that were turned into pdfs for the website). I wish I'd kept the original TFFs going back to 2001, but I only started keeping the original scans about eight years ago. BallyAlley_Website (Snapshot) - 5.12GB - This is a snapshot of the Bally Alley Website as of March 2019. There are 7,953 files in 1,271 folders. This is the accumulated work of 18 years put into the Astrocade community. There may be a few files scattered around my hard drive that aren't yet on Archive.org or BallyAlley.com, but this is pretty much the extent of what I have available. I'd love to see astrocade fans dig into these files! Added to Archive.org on March 26, 2019. With the help of Jason Scott of the Internet Archive, I have finally added the 26.8 GB of scans from the Bob Fabris Collection to the Internet Archive. These are scans that are NOT on BallyAlley.com as of March 2019. These are from my half of the Bob Fabris collection. Paul Thacker has the other half of the collection. His files were uploaded to Archive.org a few years ago. All of the files are organized by the box from which the documents were scanned. This is how the files are organized on my hard drive for simplicity of finding the original document, if I ever needed it again. A few years ago, I realized that my task of putting all of these files on BallyAlley.com isn't ever going to be finished. Last week, Paul Thacker made a personal request of me to finally get these files online before they get lost or forgotten about on my local hard drive. At my request, Jason Scott zipped all of these files by "box" and the files can be downloaded as nine zipped archives: one zip archive per "box." This is the simplest way to distribute the files. It doesn't make the files easy to search, but it does put them out there for those that are curious to be able to go through them all at their leisure rather than waiting for them to, possibly, appear someday on BallyAlley.com. These files aren't just "locked" in these archives. Jason will also be placing the files on Archive.org in more accessible formats that can be easy viewed, but for those that are curious and want a local copy of the files, then this is your one-stop destination to pick up all of these documents that are sitting out in my garage. In the meantime, I'd like a few people to download these archives, just to test them out and make sure that they work okay. Also, any and all comments about their contents are appreciated. If you find some neat files, then please point them out to us, for even I haven't looked thoroughly through the contents of the Bob Fabris Collection.